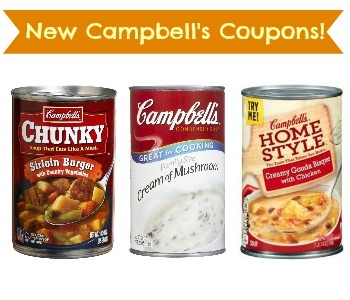 Save with (3) new Campbell’s Coupons! Stack them with Cartwheel Offers to get soup for 58¢ per can. This makes an excellent easy lunch. Print (2) per computer to save on several different kinds of soup.